Insights4Results is certified in a variety of assessments that are part of our tool box we consider when exploring your needs to find the best solution for your organization or achievement of your individual goal. Each Assessment is described and sample reports are included for your review and consideration. We offer customized 360 degree assessments individualized to fit your organizational culture, competencies, and strategy. We work with organizations to customize their key leadership competencies to assure their supervisors, managers and leaders are receiving feedback on the competencies that are most important to the organization's current and future success. We are a licensed provider of the "EQ 360" assessments, which provide a more in-depth analysis of Emotional Intelligence. When observer ratings are compared with the results of an EQ-i 2.0 self-report, a more complete 360 degree profile emerges. The EQ 360 identifies key manager and/or employee strengths that can be leveraged to the benefit of the organization, as well as impediments to high performance that could be improved. One important change that was requested was a better alignment between the EQ-i and the EQ 360. In the new EQ 360, each of the 133 assessment items has a corresponding and equivalent item in the EQ-i 2.0. In addition, the EQ 360 reports are now set up in such a way that participants can view the results for each item across all rater groups; this even includes their self-report results. This improved alignment creates higher face validity because the results can be much more easily understood and reports better interpreted. And, of course, the new EQ-i 2.0 model also applies to EQ 360. The new EQ 360 Report includes not only the feedback of all the raters, but also the feedback of the participant - all in one consolidated report in both and client and coach's version. This saves the participant time and effort in working through multiple reports. Don Clifton, Father of Strengths Psychology and Inventor of CliftonStrengths has provided an assessment which allows everyone to discover where their strengths lie in order to maximize their true potential. This strengths-based approach to management and leadership powers the greatest teams in the world’s most successful organizations every day. The strengths-based approach to management and leadership powers the greatest teams in the world’s most successful organizations every day. that can be productively applied. We are a certified provider of the DiSC assessments which identify individual competencies, revealing how best to align team members for optimal collaboration. Everything DiSC® Management teaches managers how to bring out the best in each employee.Everything DiSC Management is classroom training that uses online prework, engaging facilitation with contemporary video, and online follow-up to create a personalized learning experience. Make the Program Work for You! Everything DiSC Management is the most in-depth and easily customizable DiSC®-based management-training solution available. Management-specific, personalized content creates an in-depth learning experience. Modular design and online tailoring features allow you to design a customized program that’s right for your organization. The Five Behaviors of a Cohesive Team combines the power of Everything DiSC® with the influential teamwork model introduced by Patrick Lencioni in his best-selling book, The Five Dysfunctions of a Team. The program can help team members learn to work together better to become more effective and engaged. It is appropriate for use with intact teams at all levels of the organization. The Five Behaviors of a Cohesive Team facilitation consists of seven modules from 1 hour to 3-1/2 hours in length, plus a Getting Started section. Further, DiSC® styles are used as a point of reference in each of the five behavior modules, allowing participants to see how their own and their teammates’ styles affect their work as a team. HeartMath® is a set of tools you can quickly master that can reduce your stress RIGHT NOW and you can rapidly learn to sustain the feeling and health benefits of less stress in your life. It can improve your work performance, repair and deepen personal relationships and communication using tools and techniques that can increase your emotional intelligence. These tools have been shown scientifically to bring numerous health benefits and allow you to bring your heart, your mind, and your life into balance. Susan Curtin is a certified HeartMath provider, including the Cut-Thru technique. She can work with you one on one with utilizing this amazing technology. HeartMath® is a set of tools you can quickly master that can reduce your stress- RIGHT NOW and you can rapidly learn to sustain the feeling and health benefits of less stress in your life. Improve school and work performance. Repair and deepen personal relationships and communication. These tools have been shown scientifically to bring numerous health benefits and allow you to bring you heart, your mind, and your life into balance. Join Susan on a journey of what it really means to live your life "from the heart." HeartMath® is the only scientifically validated system of stress intervention techniques and objective biometric feedback that quantifiably - and dramatically - boosts the health and performance of individuals and organizations. Learn the HeartMath® easy-to-learn, easy-to-use tools and technology with Susan Curtin who is a licensed HeartMath Provider. You'll receive personalized instruction and become skilled in basic HeartMath techniques including Freeze-Frame®, Heart Lock-In®, and Heart Mapping®. You'll receive your own personal HeartMath workbook to help you focus on the effective integration and application of HeartMath's techniques to the area of your life where you want the most benefit. You'll learn how to measure your progress and physiological changes with the Freeze-Framer™ software technology. We are a certified provider of the Hogan assessments which offers information regarding the characteristics, competencies, and values that underlie how a leader approaches work, leadership, and interaction with others in the workplace. Leadership matters. Organizations depend on leaders to make important tactical decisions, manage changing market trends, and set strategic vision. When competent leadership prevails, people and companies prosper. Bad leadership is almost always accompanied by disengaged workers, corporate corruption, and, eventually, business failure. HoganLead gives leaders a clear understanding of their performance capabilities, challenges, and core drivers, and provides them the strategic self-awareness that makes good leaders great. Potential -- The Potential Report outlines day-to-day leadership style, describes behaviors typically associated with that style, leadership competencies, and comprehensive development recommendations. Challenge -- The Challenge Report describes how leaders are likely to interpret the world and treat subordinates while under stress and pressure. The Challenge Report predicts career-derailing behaviors that interfere with the ability to build a cohesive and high-performing team. Values -- The Values Report explores the core values and goals that ultimately drive a leader's behavior, aspirations, and expectations about life. What people value determines how they will lead; this determines the kind of environment a leader will create and the sort of organizational culture in which the person will do the best work. Coaching -- The Coaching Report is a self-guided, comprehensive development-planning tool for individual leadership development. The Coaching Report integrates the information from the Potential, Challenge, and Values reports into a five-step planning process. By completing this process, a leader produces a powerful, personal development plan designed to foster professional growth. 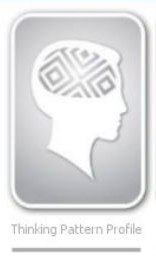 The Hogan EQ Report assesses emotional intelligence, the ability to identify and manage your own and others' emotions. Based on the Hogan Personality Inventory and Hogan Development Survey, the easy-to-understand report provides an overall EQ score, as well as scores and feedback for six emotional competencies. The report also includes a summary of likely behaviors, score pros and cons, and discussion points. HoganLead is the product of decades of research, theory, and market experience used to identify the qualities of top leaders. Use this knowledge to identify the next generation of great leaders in your ranks. Unfortunately, as many as two-thirds of the people currently in leadership positions will fail, leaving companies with damaged reputations, disheartened employees, and downed revenues. Failed leadership is often the product of flawed interpersonal behaviors that prevent leaders from forming and maintaining a productive team. We identify dysfunctional tendencies that can be mitigated through awareness and coaching. Plan for your future success! The key to succession management is building a leadership team whose abilities and aspirations match the company’s future needs. HoganLead evaluates potential and fosters the growth necessary to guarantee future success. The Five Practices of Exemplary Leadership® Created by James M. Kouzes and Barry Z. Posner in the early 1980s and first identified in their internationally best-selling book, The Leadership Challenge, The Five Practices of Exemplary Leadership approaches leadership as a measurable, learnable, and teachable set of behaviors. After conducting hundreds of interviews, reviewing thousands of case studies, and analyzing more than two million survey questionnaires to understand those times when leaders performed at their personal best, there emerged five practices common to making extraordinary things happen. 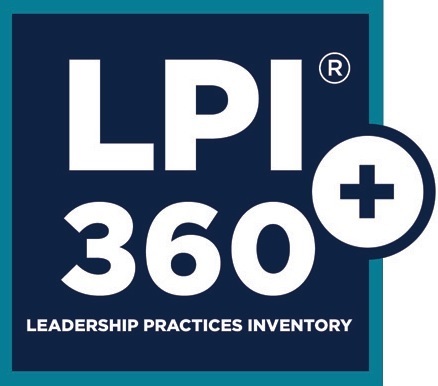 The Leadership Practices Inventory (LPI) instrument is an essential tool to help you gain perspective into how you see yourself as a leader, how others view you, and what actions you can take to improve your use of The Five Practices, which research has demonstrated, year after year, make for more effective leaders. The LPI measures the frequency of 30 specific leadership behaviors on a 10-point scale, with six behavioral statements for each of The Five Practices. Consultants, Training and Organization Development Professionals can get certified in the Managing4Results™ system to deliver this program with their current and future clients. The Certification process is an eLearning certification program and once completed provides the Consultant with the Leaders Guide, Participant Guide and Power Point Deck. The Managing4Results™ license can be purchased by a Company or Organization to deliver a standardized training program for all Supervisors, Managers and Leaders. It includes a Coaching Model, Coaching Skills Assessment and Coaching Resources to ensure Coaching is provided to develop and retain talent. The license includes the delivery of a Train the Trainer for the Company or Organizations internal trainers who will deliver the training to existing, newly hired or promoted supervisors, managers and leaders. Coaching and Development is an investment in employees for the long-term benefit of the organization. It is a strategic investment in winning – developing continuous learners who adapt to change, meet current and future demands, and outperform customer expectations. Contact Insights4Results to discuss pricing. In addition, this program will help managers build stronger relationships with their direct reports through giving constructive feedback, coaching, and communicating messages about compensation that will truly motivate and enable teams to achieve great results. Susan Curtin is a certified provider of the Myers-Briggs Type Indicator assessment. The Myers-Briggs assessment provides the tools you need to help your people better understand individual differences, including easy-to-read graphic descriptions of reported type, preferences, and characteristics. The classic assessment of personality type. MBTI® Complete: The assessment and an interactive interpretation session in one package. : Budget-friendly version of the MBTI Step I assessment. MBTI® Self-Scorable: Paper-and-pencil version of the MBTI Step I assessment in a compact booklet. Builds on Step I™ results for a deeper exploration of personality type. MBTI® Step II™ Profile: Explores 20 facets of the four-letter types for more in-depth understanding. The information you need—in a user-friendly, narrative format—to conduct an interpretation of a client’s MBTI results. A range of reports support your specific goals. MBTI® Interpretive Report: Summarizes MBTI results concisely yet thoroughly. : Summarizes leadership, communication, and problem-solving styles. MBTI® Team Report: Describes a group’s type and its related problem-solving and conflict management styles. MBTI® Communication Style Report: Describes communication strengths, offers practical tips for communicating with others and action steps. MBTI® Conflict Style Report: Helps individuals understand how their MBTI type preferences influence their approach and response to conflict and it provides them with a framework for dealing with conflict situations more effectively. : Describes the impact of stress on personality characteristics and provides tips for leveraging strengths to deal with stress effectively. : Comprehensive report that explores the variation within a client’s personality type. We are a certified provider of the Strength Deployment Inventory assessments which predicts how individuals will react in certain situations. Especially when conflict arises, knowing the team's SDI can help managers prepare for difficult and challenging situations. Susan Curtin is a certified SDI provider. The SDI® (Strength Deployment Inventory®) is a valid and reliable tool for managing conflict and improving relationships. It is based on the theory of Relationship Awareness®— a learning model for identifying and understanding the motivation behind behavior. The SDI is really 2 assessments in 1. Participants answer two sets of items to calculate the relative frequency of different motivations when things are going well and when faced with conflict. Results appear on a charting triangle as an arrow representing the participant’s unique Motivational Value System AND Conflict Sequence. HeartMath Institute developed this comprehensive assessment tool to help people more fully understand how twelve aspects of their life (work, relationships, finances, social support, etc.) affect their levels of stress and well-being. To establish a reference baseline, the assessment was normed on over 1500 individuals. Taking the assessment will help you pinpoint how you rank in each of the twelve aspects and how these factors influence your stress and well-being. It may prove valuable in helping you and your provider (coach, mentor, counselor, etc.) decide on specific aspects of your life that you might wish to set improvement goals for. You can complete the assessment and I will contact you to share your results. We can set up an action plan on how to manage any areas of Stress that might be interfering with your health and wellbeing. There will also be an opportunity to re-take the assessment 6 weeks later to compare your results and note your progress in any of the 12 areas that you identified to work on. The Thinking Pattern Profile is built on a methodology that directly measures actual talent. It measures competency quickly and easily and accurately. And it is quietly being used by some of the best companies to close the performance gap. It shows what a person pays attention to as they make decisions --- and also what they don't pay attention to. Therefore it provides a helpful indicator of the sources of a person's strengths and vulnerabilities. Thoughts direct actions, and actions lead to results and feelings. New results come from new actions which are generated because of new thinking. Thus the understanding of one's thinking style and process is the key to harnessing this power to achieve continuous improvement and excellent results. The Thinking Pattern Profile provides this understanding as no other instrument can. In short, the Thinking Pattern Profile™ system measures the capacity, clarity, and balance that individuals and groups have regarding people, tasks, systems and themselves.